cigarettes are a common social trend nowadays. 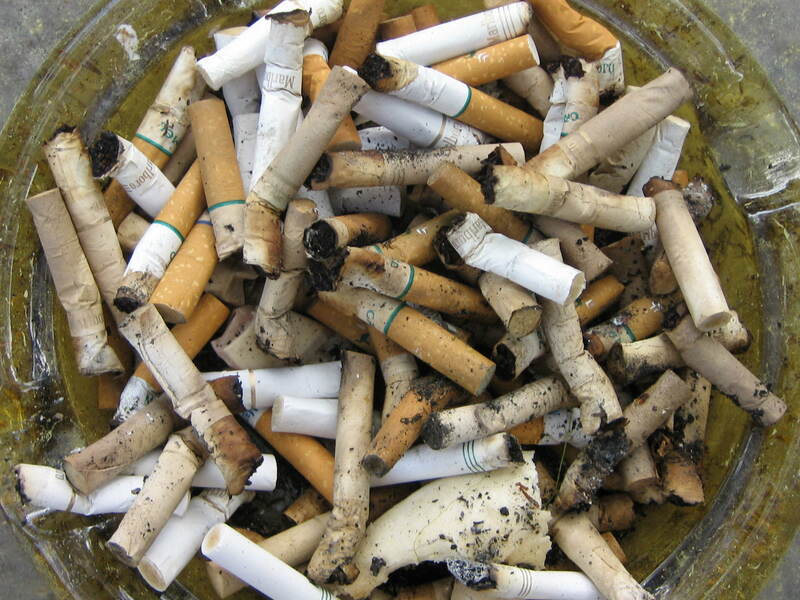 everyone in my house smokes cigarettes so you can imagine the amount of butts there are all around our house. i went all around my house and picked up all the cigarette butts that weren’t in our ash tray and combined all of them into one disgusting pile. already in the ash tray was a band aid i had put in their out of frustration from a prior attempt at creativity. i wanted somewhat of an I SPY idea with this one. it was a popular game that you would play socially with friends when we were younger.i spent about 30 minutes picking up as many butts as i could find and then rearranging them with the band aid hidden enough to where its tricky to find it but not impossible. I SPY a band aid in this land fill of cigarettes. can you find it? ?